The Legionnaires’ outbreak in Flint, which is in Genesee County, has now claimed 10 lives as of March 18, 2016. At least 88 people have been sickened in this outbreak. Of the 88 confirmed cases, 35% received city of Flint water to their residences. This is important because experts state that the problems with Flint’s water system likely contributed to the Legionnaires’ Disease outbreak in that city. An emergency financial manager, appointed by Republican Governor Rick Snyder, changed the city’s water supply in 2014 from the Detroit water system and instead had water pumped from the Flint River. This corrosive water leached lead from the water pipes in the city’s homes, causing brain damage in many children, and likely contributed to the presence of legionella bacteria in the water supply. The outbreak matches the time of the switch in the water system. And the outbreak ended in October 2015, which is when the water was switched back to the Detroit system, according to Wells. With the weather warming, the legionella bacteria grow more rapidly. The EPA says that warm and humid weather is the ideal breeding ground for this pathogenic bacteria. Organic sediment in municipal water systems increases turbidity in drinking water supplies. 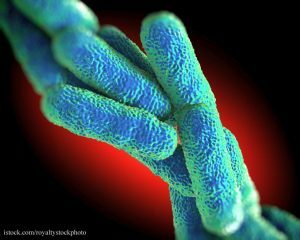 The legionella bacteria grow most rapidly in temperatures of 85 to 110°F. The symptoms of Legionnaires Disease are very similar to pneumonia. They include chills, fever, muscle aches, cough, loss of appetite, fatigue, shortness of breath, confusion, and diarrhea. The symptoms usually begin two to fourteen days after exposure. People who are most at risk for contracting this illness include current or former smokers, anyone with a chronic lung disease, people with weakened immune systems, and people over the age of 50. If you have been experiencing these symptoms and live in Flint or the surrounding areas, please see your doctor. The fatality rate of Legionnaires’ Disease is about 30%.